Each $82 box contains 36 packs. Each pack contains 11 cards. 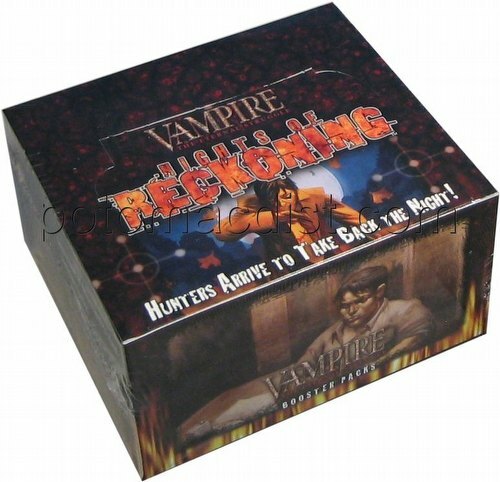 Each Nights of Reckoning booster pack contains 11 cards - 10 new cards and 1 of 5 different rules cards.